Feeling rather poor recently so I've been searching for discount coupons to use online =x You would be amazed at what you can find! Sometimes I just Google for 'ABC shop discount code' but it always gives me expired codes. 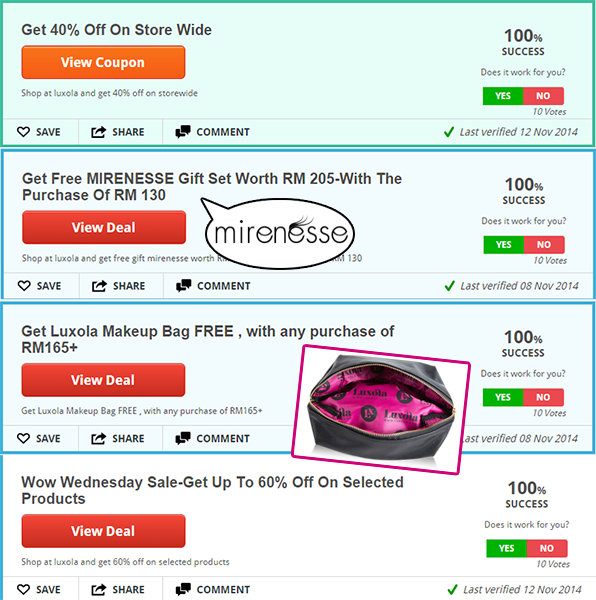 To make my life easier, CouponBelanja has compiled all these discount codes in one place! 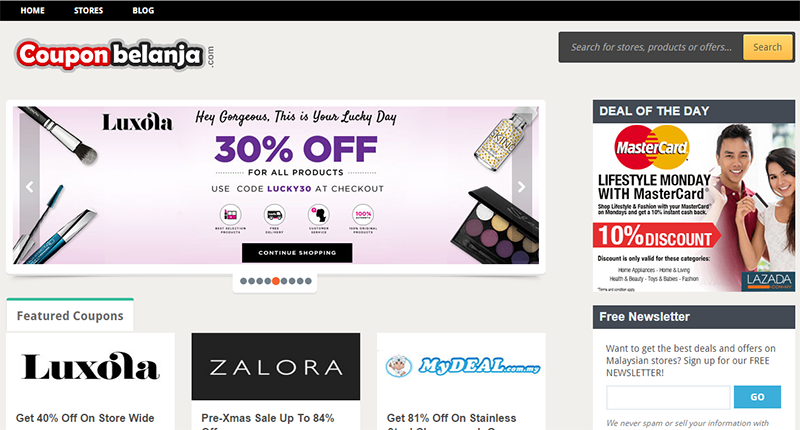 I found these awesome Luxola Malaysia Coupons omg 40% off, 60% off, free gifts wutt! Maybe I'll get some Sleek products with this code.. They also have Lazada Malaysia Coupons - very easy to use. Clicking on the orange button will reveal the code which you can just key into the website. Sometimes they also list deals which do not require codes.